This is interview was originally published on ODDA Magazine Issue 6. 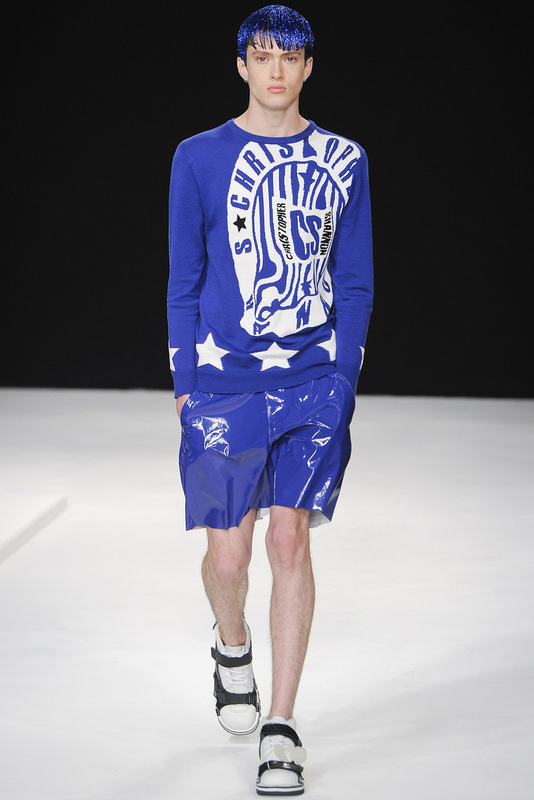 Christopher Shannon is an established British men’s wear designer. He has what all “young” designers want: Success and Sales! Despite designing eleven exciting collections; developing innumerable collaborations; receiving prestigious awards and assembling a top notch professional work team under his baton, he still is in control of all details in his shows. He is not only the designer for his shows; he is also the Casting Director, he develops the fittings, and styles the shows. How does he do it all? We want to know. Fabrizzio Morales-Angulo: Christopher, let’s start talking about your inspiration. We know you use memories and images that you find and that these can become a point of departure, but what happens next ? Can you describe the process that results in a new Shannon collection? Christopher Shannon: It’s an ongoing piece of work, one collection in some way always informs the next, there’s no stop point. The beginning of a collection always starts in different ways and from different points, there are things you will always need though like fabrics, shape and music so that’s what we look at until there’s a mood between them. Then there’s a process of elimination, things that work, things that don’t how brave we feel like being etc. FMA: You are the Casting Director for your shows. How do you know which models are perfect for each look? Do you design or sketch with certain models in mind? CS: It’s not hard, I just use my eyes. I see their walk, we spend a bit of time with them, there’s nothing worse than a painful personality in a model, they have to have the beat that works with us, it’s ridiculous but to a point I do cast on personality, which some people would never do. I’ve just never liked the shows where you don’t remember any of the boys. I get a lot of feedback about casting the show myself and people are always really shocked, I’ve never really found it difficult, apart from when a big brand steals your model last minute. This season I really wanted Matt Ardell, he was really the mood of the collection, then he had to go to Milan, which was annoying. He’s great though, the models with a very individual personality always appeal. FMA: As well as being the designer you also manage your own fittings, castings and rehearsal. Why is so important to be present. CS: Why would you not be present? It’s my work so I want to see that it looks the way I want it to. FMA: After all of this work, you style your own shows, what drives you to be your own stylist? CS: Again it’s about making a complete piece of work. I talk to people about the work but don’t feel like I need a stylist. 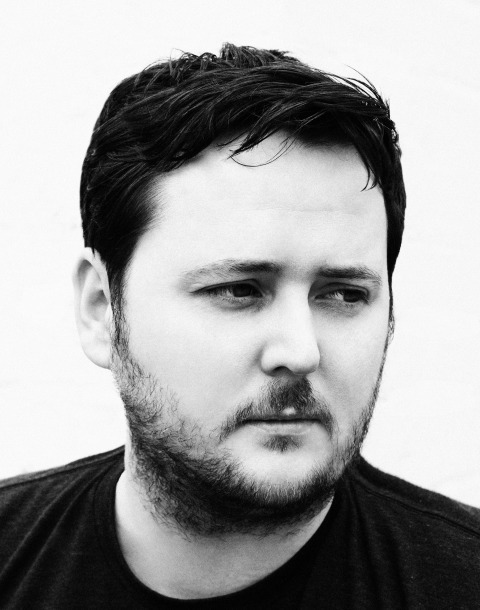 I think for some designers it’s a great working relationships it’s just not been one that’s been helpful to me. I’m not closed off about the ideas I’m really ope to discussion and opinion I just feel it’s more exciting to trust my own ideas, also I don’t like the idea of being creatively dependent on someone else. FMA: You are protective of your brand and very hands on; are there aspects of your brand that you prefer to delegate? CS: Maybe I’m protective , I’m not sure. I think if you’ve worked really hard why would you not be? I’m happy to hand over the production, sales and PR side of things, they don’t interest me so much, I don’t think that’s where my skills lie. 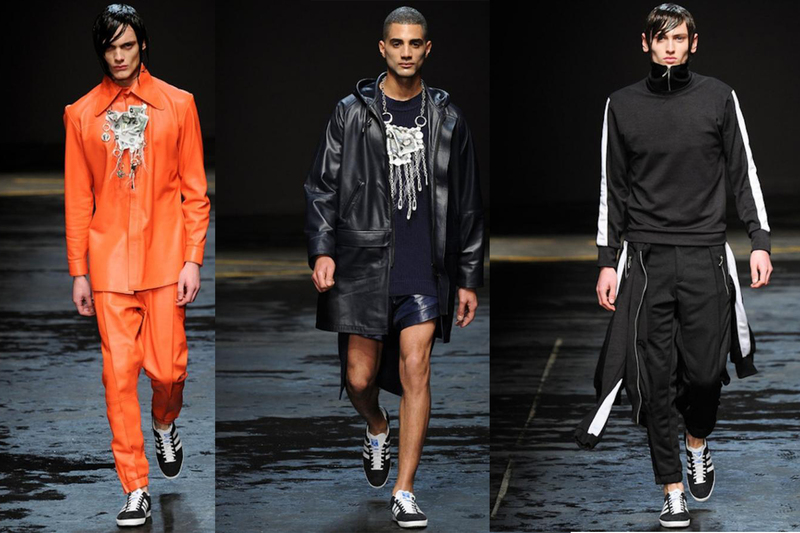 FMA: A Christopher Shannon’s presentation is about performance fabrics; clean silhouettes and a certain amount of drama. These are some of your well known signatures. I. propose you another terms I found as signatures of your brand after I saw all your collections, let me know, what you think. – Sporty look – Minimal casual – Gray – Patchworked pieces – All-over prints CS: I suppose I’ve touched on all those things. I’m not so interested in building signatures, I like the work to be more open and fluid, as soon as there’s a thing everyone thinks I should be doing them I’m less interested and I want to do the opposite, it’s childish but it’s how I am. 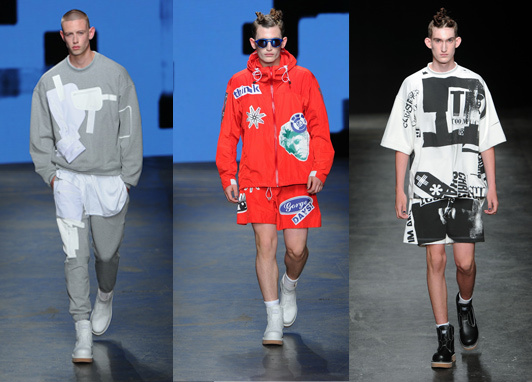 FMA: We talk about signatures, that are things we could see, but what is always present on Christopher Shannon collections that can’t be seen with the eyes? CS: I have no idea. FMA: As I say before one of your signatures is “amount of drama”, how do you measure it? CS: I don’t. There’s a point where if I think it’s gone too naff or stupid then we take it back, or if a models feels really embarrased in it then sometimes i’ll re think it. I like the collections to have a decent level of accessibility and realism, I think it’s easy to be controversial in menswear but it’s never appealed to me just for the sake of attention. FMA: You are “Christopher Shannon” and “Christopher Shannon The Brand” how do you handle both personalities, and in which moment do you actually stop being one and star being the other and vice-versa? CS: I don’t stop to think of it really, I don’t think I’m brilliant at being a “brand” I don’t have enough patience. FMA: To close, we discovered that you used to be’ more of a socialite’, never missing a good party, and now you are “more of a private person’ Your collection now looks sporty and younger – is this reflective of your life style change? CS: I have no idea, I think since I’ve enjoyed work more it’s shown in the collections, I feel a lot more connected to the work that I did before, I’m happy to trust my instinct now and I think that shows.